I am embarking on a week in Israel, delicious ancient land of vigor, ingenuity and flavor. A good friend has graciously invited me to the wedding festivities of her sister. Because I want the cultural experience, have the miles and certain wanderlust, I cannot decline. It’s been several years since I last visited this enchanting and primal place and the previous expedition was all business. Now the circumstances are different. I take this Israeli interlude to revel in the unique cuisine and the people who have shaped it over thousands of years and several continents. I want to partake of its many flavors. Israeli cuisine is a delectable melting pot wrought from the traditions of Asia, Africa and Europe, then mixed with several dashes of religion and a sprinkle of ethnic influences. 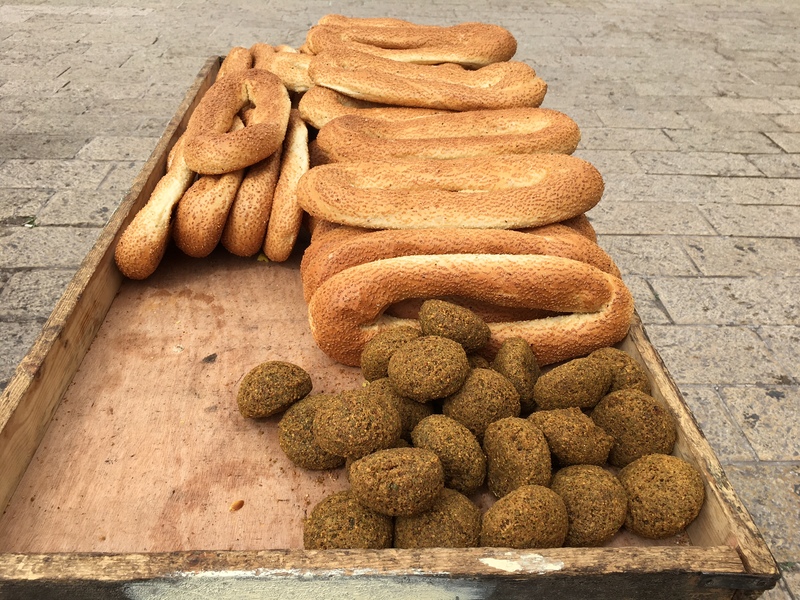 Biblical and archeological records provide mouthwatering insight into the culinary life of this area as far back as 968 BCE… back to the days of the kings of ancient Israel. But I digress; my first memories are of the tempting ingredients grown throughout the Mediterranean region in Israel. Sweet diamond-red pomegranates, crisp green vegetables, creamy brined cheeses and gentle flapping fresh fish. I can smell the challah, delight in the bulbous avocados and savor the creamy hummus with crisp falafel balls. I order Israeli salad with every meal, even at breakfast! It’s all very fresh and mouthwatering, these memories… I can barely contain my yearning to be there. Why do all my memories of Israel conjure up unabashed hedonistic culinary indulgence? Most likely it’s because agriculture is a highly-developed endeavor. 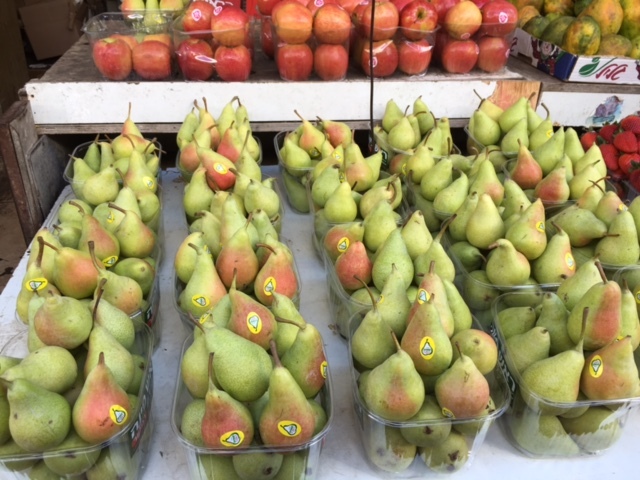 Israel is a major agricultural producer and exporter of fresh produce despite the fact that the geography of Israel isn’t exactly conducive to cultivation. More than half of the land area is desert, hilly and sometimes barren. 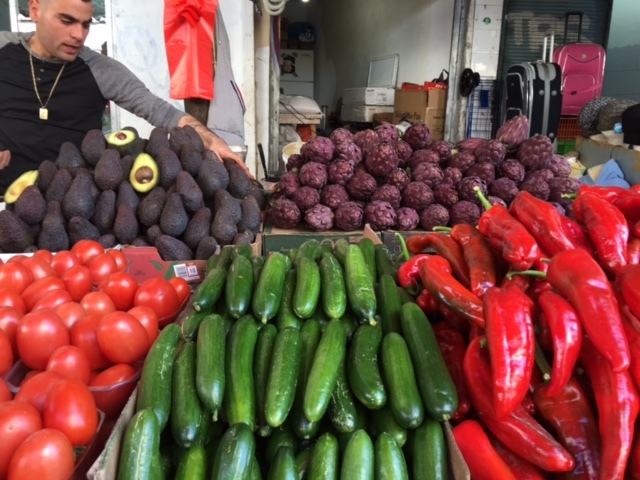 Yet the Israelis grow an amazing array of aromatic oranges, avocados, juicy kiwifruit, guavas, mangoes and grapes all from orchards located on the azure Mediterranean coast. Hot house tomatoes, cucumbers, peppers and zucchini are nurtured in the desert. Sweet melons flourish during winter months in the valleys. Subtropical regions put forth bananas and dates. In the north, apples, pears and cherries propagate and mature. 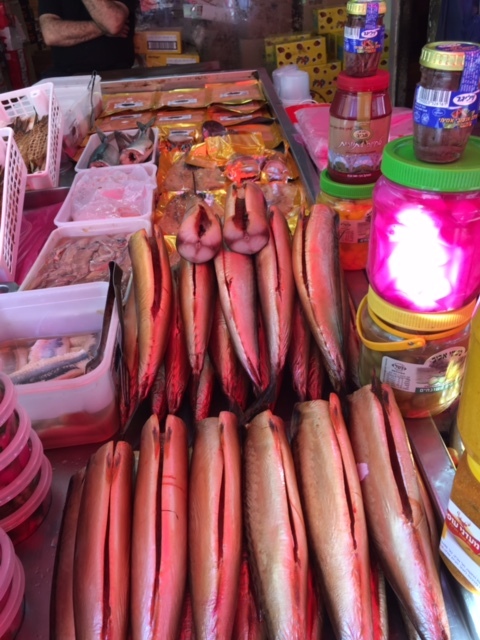 It is indeed a small but mighty land of culinary plenty across many latitudes. My first excursion was to visit organic producers expanding their markets through export opportunities. The colored peppers were blocky, sturdy and certainly perfect specimens with shoulders of red, yellow and gold. We drank mint tea in the Negev desert under a hot sun. Peppers flew to North America. What then does organic agriculture look like in Israel? According to the Israel Bio-Organic Agriculture Association, there are about 500 growers across the country and about 100 organizations that work in the organic industry in marketing, manufacturing materials, training and conducting research. Similar to the US, organic agriculture is only 1.5% of the agricultural land, but its rewards are great as organic represents 13% of the fresh products in Israel. 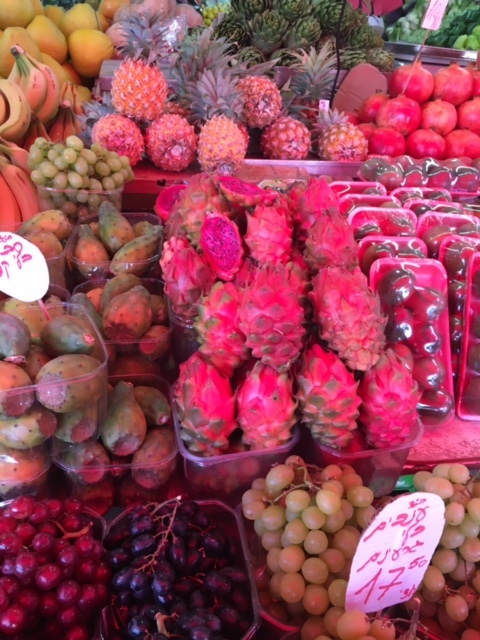 Local efforts are growing, but most of the organic market in Israel still exists for export. Israel has been involved in the organic market for nearly two decades and the Israeli organic market has enjoyed 5% to 6% growth annually, much of which is the fresh amazing produce. Needless to say, interest in organic and sustainable agriculture is growing. Increased commercial interest in organic products has already bolstered farmers’ appreciation for sustainability in their beloved land and their communities. The use of biological methods will certainly result in healthier, sustainable agricultural systems throughout Israel and can make a real long-term difference in the viability of Israeli agriculture. It’s just a matter of time. So I travel there to eat and discover how organic agriculture can transom rivers, valleys, cultures and peoples. And I yearn for my first taste of Israeli salad. Israeli salad is typically found at the many falafel street stands all over Israel. It is served on its own as a side dish or inside a pita sandwich wrap. This fresh, light, and colorful salad is sure to become a favorite once you try it! It is simply: chopped tomatoes, cucumbers, onions, and parsley combined with a drizzled dressing of lemon juice, olive oil, garlic, and mint leaves. It is awesome on a pita with falafel, hummus, and tahini. Stay tuned for more of my Israeli Interlude.